My Newest Addiction Beauty Blog: Laura loves her first Wantable Makeup Box of 2014! See what she got! Mama Fashionista: Quinn shares her Top Ten facial scrubs of 2013! lola's Secret Beauty Blog: Looking for a fabulous new foundation with anti-aging skincare ingredients? Say hello to Hourglass Veil Fluid Makeup! Adore A Polish: Kristina shares her favorite nail polish of 2013. TheFabZilla: Kathryne from TheFabZilla suggests 6 ways to update your look in 2014. Makeup Demon: My beauty products discoveries of the year 2013! daydreaming beauty: How about a bright and cheerful Gelish mani for this cold first week in January? Glamorable! 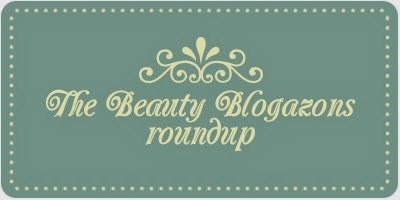 : Check out this roundup with Anastasia's favorite nail polishes of 2013! Beauty by Miss L: Madara is Latvian eco-friendly and cruelty free beauty brand. This week Miss L reviewed their Regenerating Night Cream. ColorMeSoCrazy: GOT Challenge! Are You Pink Enough?! ?